Where can boaters find respite as construction readies to begin on San Pedro Public Market? SAN PEDRO—As San Pedro readies to wipe out what is left of the old Ports O’ Call Village to begin construction on the massive waterfront development San Pedro Public Market in 2019, it does leave a few wondering what kind of amenities boaters can expect in the new design. The project is partially inspired by San Francisco’s Fisherman’s Wharf area and staff has not been subtle about their aspirations to make the L.A. Waterfront one of the premier tourism destinations on the West Coast. San Pedro has a lengthy history as one of the largest port business districts in the world and has broken records for most containers moved in years before. As the identity of Port of L.A. continues to change in the coming years, here is a listing of a few notable amenities that can still be accessed now. The Jankovich Company has been responsible for vessel fueling in San Pedro since 1933. Recreational vessels will still be able to fuel up at the fleet headquarters located at L.A. Berth 74, which lies at 33.729470 degrees latitude and -118.274462 degrees longitude. This location is also Los Angeles’s main shipping channel. 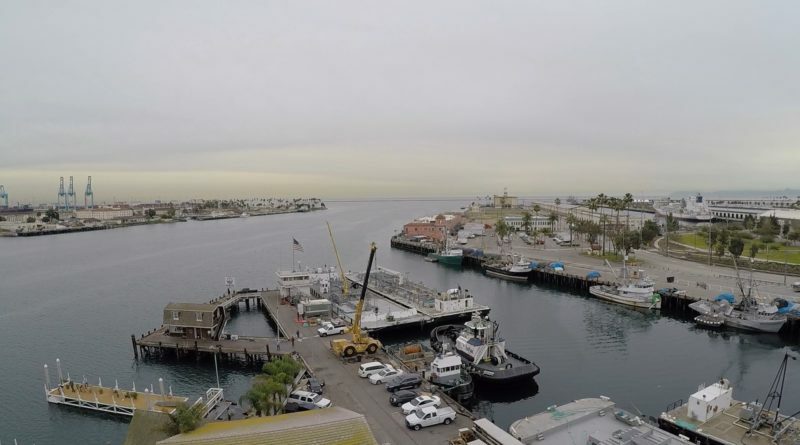 While the dock will provide gas, diesel and lubricants to “pleasure boats,” the location also provides services to commercial cruise ships and megayachts. There is a dock store offering bait, ice, drinks and other snacks as well. The hours of operation are seven days a week from 6 a.m. until 6 p.m., but the location is closed on Christmas Day, New Year’s Day and Easter. For questions or other inquiries, call 310-732-5550 ext. 234. Another favorite fueling station is Maxum Petroleum, located at 1028 S. Seaside Ave., which claims to offers gasoline and clear diesel in a competitive price range. This location is opened from Monday through Saturday from 7 a.m. until 4:30 p.m. on weekdays, and until 3 p.m. on Saturdays. Courtesy docks are free and open to the public from 6 a.m. until 10 p.m. at Downtown Harbor, also known as Berth 85. There are a few rules for docking, however. The docks are limited to four hours per every 24-hour period. Charter vessels and any other commercial vessel are not permitted to dock in this area, and there can be no commercial activity or transfer of fish or other merchandise here. Vessel size is limited to 100 feet and 100 gross registered tons. For more information about the courtesy docks, visitors can contact the Wharfinger Division at 310-732-3810 during weekday business hours. Boaters can contact Los Angeles Port Police at 310-732-3500 on weekends. On Cabrillo Beach, there is a fully paved, public boat launch ramp that can be accessed at Shoshonean Road near Cabrillo Marina. Just a few of the features are trailer parking, boat washing facilities and restrooms. Oversized vehicles and boaters park for $2 per hour at a $15 maximum. Vehicles that are hitched to a boat trailer can be left overnight for $15 per day, but personal vehicles without boat trailers may be towed if left past 10 p.m.
On the Port of Los Angeles website, there is a listing of more 15 marinas and 3,736 slips in the greater San Pedro area including Wilmington and Terminal Island. According to the website, there are more than 400 liveaboard boaters that occupy these marinas. The port has been an advocate for the Clean Marina program, which is a certification program that offers guidelines for how marina managers and boaters can keep their waters environmentally sound. Twelve of the marinas have been certified by the Clean Marina program. For a full listing of the marinas offered in San Pedro, visit the website at portoflosangeles.org/community/boaters. Find a PDF copy of the 2018 Port of Los Angeles Mariners Guide to help navigate as well. A printed copy can be requested by calling 310-732-3810. ← What’s the lowdown on Orange County’s lesser known Huntington Harbour?